Inspired by the one and only Dale Earnhardt Jr., the SPY Optic General sunglass is built for performance. These glasses look tough, feel tough and are as solid as any pair that I’ve ever worn. 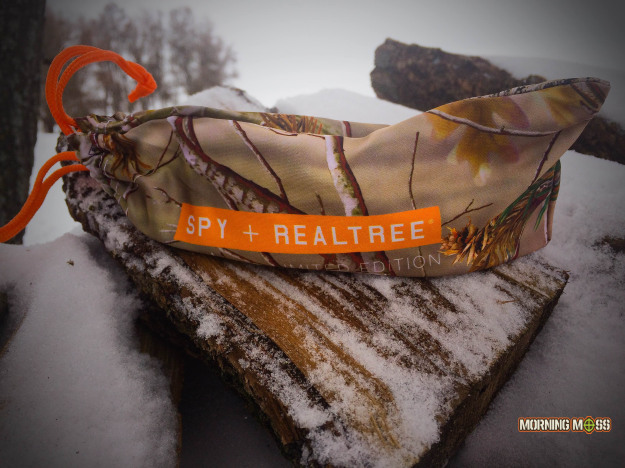 The Spy Optic Realtree camo sunglasses look cool and come blanketed in Realtree camouflage with the SPY Happy Lens. The pair shown in the photos here have the grey lens, but these sunglasses come with the grey, green or polar. Read more of the SPY Optic General Sunglass review. The Realtree camo edition of the General sunglasses from SPY Optics are very cool looking and block out 100% of UV light. Usually, we’d guess you’d be using these on a sunny, warm day, but you can’t pick the weather! The General sunglasses are Dale Earnhardt Jr.’s signature sunglass made by SPY Optics. The glasses are wide are large and will cover your eyes and block out 100% of UV rays. Featured on the inside of the glasses is the number 88 and Dale Earnhardt Jr.’s signature. The frames for this particular sunglass are matte black with Realtree camo on the inside of the frames and the tops. When I first tried on the SPY General Sunglasses, I noticed that they were really comfortable. There is rubber that goes against your temples and nose and it doesn’t itch or move a lot when you are. The lenses are really good too. Very clear and block out a lot of light without distorting the outdoors. SPY Optic’s Happy lens comes in these glasses and I’ll tell you that this lens is incredible. We wrote more about it in our review of the SPY Angler sunglasses review, but the lens really makes you feel better and see clearer. It would be very tough to find a better lens that looks great and actually helps you see and feel better. 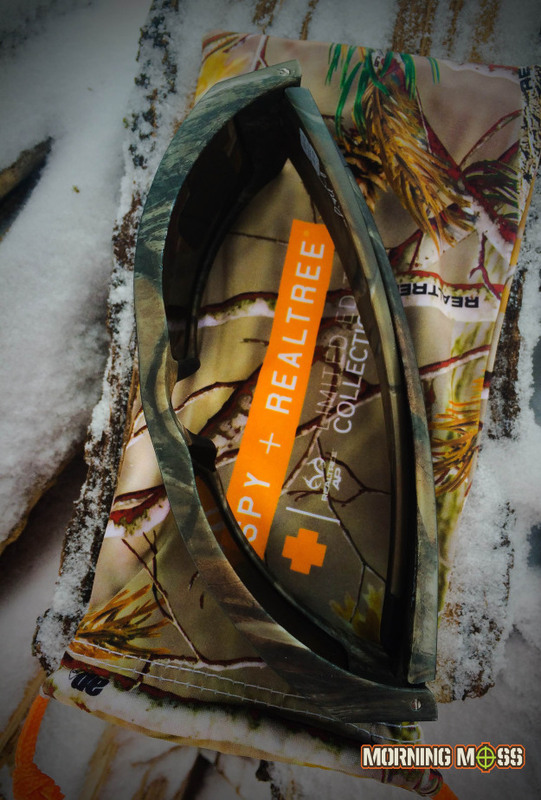 The General Sunglasses come with a Realtree camo bag complete with blaze orange logos. Obviously, the best part about these glasses is that they look cool. There’s nothing better than the matte black against Realtree camo. These would be the perfect glasses for fishing, hunting and enjoying the outdoors. Duck hunting would be perfect in these and no birds are going to spot a shiny glare from the sky. 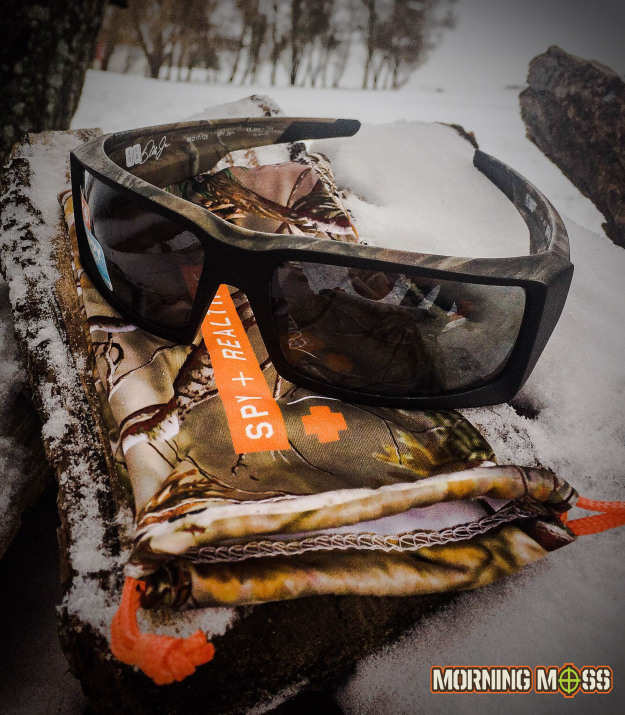 You can get your SPY General sunglasses here on their site, or order the SPY General Realtree camo shades on Amazon here. See more of the latest hunting and fishing gear reviews here on MorningMoss and read our great Outdoor News.